In our last article, we discussed the domain factors that might add a premium onto the domain’s price. There’s something else however that can cause a seller to quote a higher than expected price. Or should I say someone else. It’s unfortunate but true – many domain sellers will dissect an inquiry or offer they get and may come back with higher than what they might otherwise. You might have simply innocently sent them an inquiry or offer but unwittingly gave them a reason to raise their price. How can that be? For many domain sellers, while the hope is to sell all domains for the highest amount possible, having solid cash flow is often more important. Some sellers might simply take what they can get on every transaction, but many will occasionally if not generally attempt to get the peak sales that they’re seeking. It often comes down to if they believe they can get the sale. Obviously there’s never a way for a seller to know that for sure, but they’ll look for clues to that potential. How might you cause a domain seller to ask for a higher price? If you sign your emails off with your company name Low Cost Insurance and you’re inquiring onLowCostInsurance.com, the seller will see the potential payday. Unfortunately, the less generic/more brandable the domain, the less you can do to hide that motivation. Domains that are purely brandable and have very little reseller motivation to own would clearly only attract proactive contact from an end-user. Domain sellers use every little tidbit they can get. Sometimes the IP address on the email combined with the name given is enough to find a LinkedIn or Facebook profile or some other informational nugget. This might be unavoidable, but be aware that your info that’s out there and able to be discovered can lead to a higher quoted price. The previous owner of iCloud.com may or may not have known the buyer coming to them was Apple, but either way, if Apple were to approach any domain seller directly, they would receive a sky-high price. They have more cash on hand than the US government, so a domain seller would feel their extreme price is still just a drop in the bucket. Business negotiations often end up like poker – you never want to show the other person your hand. Do your best to remove all emotion from the inquiry/offer. Like they say in court, anything you say can and will be used against you. That’s not to say you just send an email with “Price?” – keep the pleasantries, but don’t say any more than you have to. Sometimes domain buyers make up a story about being a broke college student strapped for cash, etc. in their initial contact to try and get a lower price quoted to them. Most if not all domain sellers see through that, especially if it’s done on a particularly good domain. Some sellers might believe you’re doing that to hide your the fact that you’re a major buyer and as such might raise their price instead of lower it. They might simply do that out of spite too if they’re offended by the fake persona being presented to them. If in fact you are a broke college student, you may never want to actually say that, but if you do, don’t do it in the initial contact. This may not always result in a counter offer let alone one that’s higher than the seller would normally ask. In fact, many sellers may simply take the good offer. That said, often it will lead them to really investigate and see if you’re a major company that can afford more. More importantly, you may have offered more than you needed to, and possibly more than the seller would have otherwise accepted. Don’t unwittingly overcharge yourself for the domain. Many domain sellers expect to have to negotiation, and for that reason tend to expect offers lower than they’d accept. If it’s important to get the particular domain you’re inquiring on, the last thing you want to do is go with some ridiculous offer like $10. 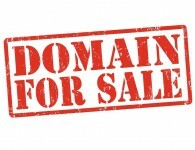 Domain sellers are not in the business to break even or lose money. Unlike a reasonable offer, a really low offer shows lack of seriousness, which will get either no reply or a sky high price in response. The main thing is if you absolutely need the name, you don’t want to do anything to jeopardize your ability to get it. That’s precisely what a tiny offer does. At the start of negotiations, the seller likely has a target price in mind with some expectation of negotiation. If your counter offers indicate a need or desperation to get the domain, the seller may pick that up and come down less and less in their counter offers, ending up at a higher price than what they targeted. You might be someone who believes people are too attached to email these days and more people should use the phone, and you might do everything via phone. That’s great for many aspects of business, but not when inquiring about a domain. A phone call indicates added effort on your part, even if you don’t feel it is. Calls are a last resort if you get no response or the whois email bounces. Sometimes this can’t be helped – if you have a deadline to get the domain for your company, you might find yourself in actual desperation. That might lead to doing things like raising your offer after non-response or doing excessive follow-ups with the seller after making an offer. That said, if you’re not time desperate, don’t show time desperation. Any time a seller feels they’re in a position of power, their expectation of the final deal price goes up. If you don’t need the domain right away, be patient. Additionally, consider inquiring on some other domain options if you aren’t getting a response as a means of productively passing time on your domain search. You may end up with a viable option or the seller of your primary option coming back with a reasonable counter offer that they wouldn’t have if you had raised your offer again first. Some of these 10 things may be unavoidable as mentioned, but do avoid them when you can. Don’t end up being your own worst enemy in the process to getting the domain you want. At Branded Names, we can help you not only figure out the best name to get but negotiate the deal. We can reduce the chances of the seller overquoting you and help ensure you can reach an agreement. Contact us if you need a domain for your business.